The new Luminor Due 3 Days Automatic is the first watch in the LUMINOR DUE collection with automatic winding and it contains one of the most sophisticated movements made by the Panerai Manufacture in Neuchâtel, the P.4000 calibre with decentralised micro-rotor. The Luminor Due is absolutely faithful to the original aesthetic but with more contemporary functionality, achieved by a reduction in the thickness of the case compared to the historic one which is up to 40% for some models. 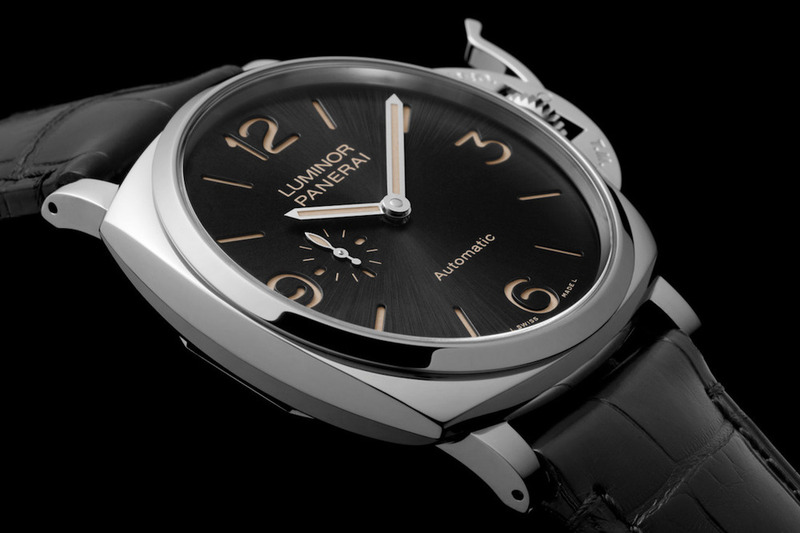 With a thickness of only 10.5 mm, the case of the new Panerai Luminor Due 3 Days is the thinnest Luminor case ever created. Calibre P.4000 movement is also the thinnest automatic calibre developed by the Panerai Manufacture.